Learn the basics of the popular Leather Wrap Bracelet. 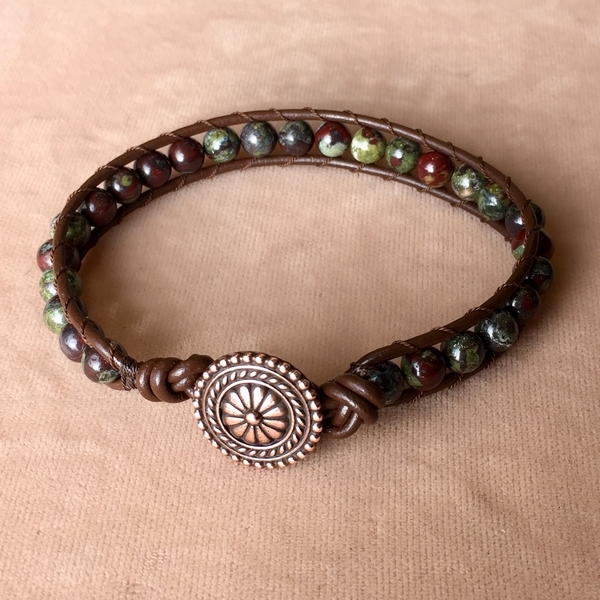 This is a super fun class that will give you the foundation to make leather wrap bracelets. The only limit is your imagination, you can use gemstones, glass, Swarovski and or seed beads for beautiful designs.